From Italy: Leeds want a discount price for striker in ongoing transfer saga | The Transfer Tavern | Where football transfer rumours fly or die! 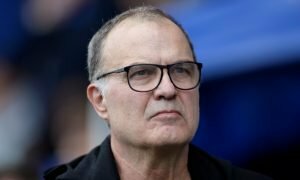 Leeds United fans in the Transfer Tavern will want to see the side look at bringing in additions this summer, as they will be expecting their team to be much better in the Championship this term. 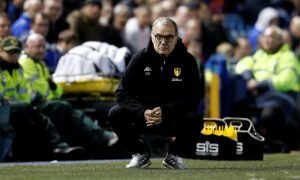 The Whites finished last season’s second tier campaign disappointingly, leading to the appointment of Marcelo Bielsa, and the locals will now be expecting the side to push on with their recruitment drive. One man that has been rumoured with a move to Elland Road for a long time, whether it be under Thomas Christiansen, Paul Heckingbottom or Bielsa, is Jerry Mbakogu, and it appears a move could still happen if reports in Italy are to be believed. And that’s because TuttoMercatoWeb are reporting that Capri and Leeds are still in talks about a move for the 25-year-old striker – however, the Championship side have announced that they want a discount on the deal for him. 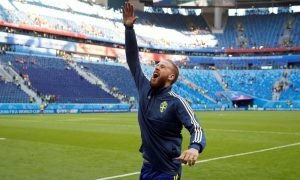 It had been reported in the past that the two sides had agreed to a deal worth £3.5 million, yet injuries to the player have given the Whites some concern, and they now want the Serie B side to reconsider how much he is worth. But whether Leeds get any joy from such demands very much remains to be seen. Landlord’s Verdict: The Leeds fans in the Tavern will be getting frustrated with how long a deal has been taking to get done for Mbakogu, having initially agreed to a transfer back in January. The locals know that they need a striker to be brought in, yet with the club now looking at the likes of Abel Hernandez and Matej Vydra, it remains to be seen if they will spend on the Nigerian. Leeds fans… what do you make of the news? Let us know!